At Doganaccia there is the “Amerigo Colò” ski school, assisted by instructors with many years of experience and thanks to which everyone can learn how to ski or perfect their style, whatever their age. Since 2000 the ski school is dedicated to Amerigo Colò. Among its historical founders in 1961 we find Zeno Colò, who worked in the early 60s at Doganaccia for a few years, Giampiero Danti today major of Abetone and just Amerigo who remained always tied in our station and missed at the end of the Nineties. 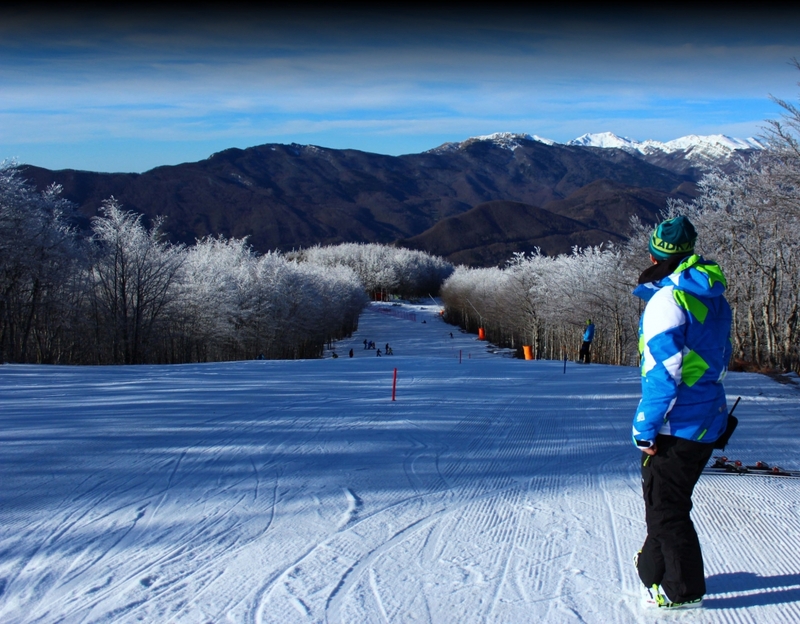 Today it is one of the most popular schools in the Tuscan Apennines, and boasts numerous instructors with extensive technical and didactic background, some of which have had a competitive past at the highest level, and which still practice the activity of Federal Coaches, National Instructors. All have in common a great passion that they are eager to convey to all those who want to learn skiing and snowboarding. Thanks to the high professionalism guaranteed by the qualifications achieved by our masters in various disciplines and by collaborators as alpine and environmental guides, we are able to offer a wide range of services and activities, to meet every need: private lessons, collective, competition and top class, freeride, ski touring, snowshoeing, ski mountaineering. Every skier must behave in such a way as not to endanger another person or cause harm. Each skier must keep a speed and behavior appropriate to his ability, as well as the general conditions and the weather. The skier upstream who, for the dominant position, has the possibility of choosing the route, must keep a direction that avoids the danger of collision with the downhill skier. Attention must be paid to the trajectories of skiers, considering the type of ski used: snowboarding, telemarking, carving. Overtaking can be done both upstream and downstream, on the right or on the left, but always at a distance that allows the outgoing skier to evolve. It is good practice for the skier not to bend over the edge of the track, but always leave enough space to facilitate his overtaking, to avoid collision with the downhill skier. The skier who enters a track, or passes through an exercise ground, must make sure, by a visual check upstream and downstream, that he can do it without danger to himself and others. The same behavior must be kept after every stop. The skier must avoid stopping, if not in absolute necessity, on the slopes and especially in the obligatory passages or without visibility. In the event of a fall, the skier must clear the track as soon as possible. The skier who goes up the slope must only proceed to the edges of it and is bound to avoid this in case of poor visibility. The same behavior must keep the skier descending the track on foot. All skiers must respect the signage of the slopes. Anyone must lend themselves to the rescue in the event of an accident. Anyone involved in an accident or a witness is required to give their personal details.